For books about the New York Fire Department (FDNY) or the New York Police Department (NYPD), go to FDNY & NYPD Page. Here's a joyful true story of the World Trade Center from a time of innocence before 9/11. In 1974 French trapeze artist Philippe Petit walked a tightrope suspended between the towers before they were completed. Gerstein's simple words and dramatic ink-and-oil paintings capture the exhilarating feats, the mischief, and the daring of the astonishing young acrobat. He knew his plan was illegal, so he dressed as a construction worker, and, with the help of friends, lugged a reel of cable up the steps during the night and linked the buildings in the sky. As dawn broke, he stepped out on the wire and performed tricks above the city. Gerstein uses varied perspectives to tell the story--from the close-up jacket picture of one foot on the rope to the fold-out of Petit high above the traffic, swaying in the wind. Then there's a quiet view of the city skyline now, empty of the towers, and an astonishing image of the tiny figure high on the wire between the ghostly buildings we remember. This effectively spare, lyrical account chronicles Philippe Petit's tight rope walk between Manhattan's World Trade Center towers in 1974. Gerstein (What Charlie Heard) begins the book like a fairytale, "Once there were two towers side by side. They were each a quarter of a mile high... The tallest buildings in New York City." The author casts the French aerialist and street performer as the hero: "A young man saw them rise into the sky.... He loved to walk and dance on a rope he tied between two trees." As the man makes his way across the rope from one tree to the other, the towers loom in the background. When Philippe gazes at the twin buildings, he looks "not at the towers but at the space between them.... What a wonderful place to stretch a rope; a wire on which to walk." Disguised as construction workers, he and a friend haul a 440-pound reel of cable and other materials onto the roof of the south tower. How Philippe and his pal shang the cable over the 140-feet distance is in itself a fascinating-and harrowing-story, charted in a series of vertical and horizontal ink and oil panels. An inventive foldout tracking Philippe's progress across the wire offers dizzying views of the city below; a turn of the page transforms readers' vantage point into a vertical view of the feat from street level. When police race to the top of one tower's roof, threatening arrest, Philippe moves back and forth between the towers ("As long as he stayed on the wire he was free"). Gerstein's dramatic paintings include some perspectives bound to take any reader's breath away. Truly affecting is the book's final painting of the imagined imprint of the towers, now existing "in memory"-linked by Philippe and his high wire. By Susan L. Roth In this parable of childhood bereavement, Pepper and Rover, two New York dogs, are miserable after the tragedy of September 11, 2001. Pepper feels overwhelmed with sadness and fear and anger. But in a tour of New York City, his friend Rover shows him that even though they�re sad, they can go on. Pepper learns that helping others, expressing his feelings, celebrating the bravery of rescue workers, and allowing himself to enjoy life can lead to healing; that the pair are not underdogs, but top dogs; that Americans are strong enough to survive and thrive, that It�s Still a Dog�s New York. Roth had just finished It's a Dog's New York when the tragic events of September 11th occurred. Although the entire nation was in shock, she felt particularly saddened for the children of New York City. She went back to the drawing board and created a smaller version of the original, rewriting the text and slightly changing the title. With the aid of several child psychologists, she tried to address some of the fears and questions that youngsters might have about the horrible events. Pepper, a native New York pooch, discusses the aftermath of the tragedy with his friend Rover, a poodle look-alike, including fear of a reoccurrence and grief at the terrible loss of life. Pepper looks at the worst side of every question. Rover, on the other hand, tries to cheer his friend up with talk of the future. While the text is rather simplistic and a trifle mundane, children will respond both to Pepper's sadness and Rover's hope. The narrative is boldly displayed over colorful collages picturing famous spots, including Central Park, the Metropolitan Museum, and the Empire State Building. While this book has value for school and public libraries, it will be most appreciated by parents who will read it with or to their youngsters and discuss the consequences of 9-11. Mole was an ordinary mole. His burrow wasn't anything special, and his job was the usual for a mole: digging, tunneling, moving a little earth from here to there. But he had a loving molewife and a little babymole at home and he was very happy. Then one day the unthinkable happened. Dragons attacked the tallest molehills in the forest. Hundreds of moles ran in terror as the molehills collapsed. Mole ran, too, but then he stopped. He looked at his paws and down at his feet, with claws meant for digging. There was a job that needed to be done, and he could help. Inspired by the events of September 11, 2001, Bravemole is a moving story of courage. Perfect for prompting conversations about the tragedy or remembering the brave efforts of all who came forward to help, the tale celebrates the extraordinary capacity of the most humble to make a difference. Jonell (Mommy, Go Away!) here reenacts the events of September 11 through the eyes of an animal who perhaps can help young readers to shoulder their fears. Mole wears a hard-hat, carries a lunch pail and lives in a burrow with his molewife and babymole. Softly shaded pastels portray their warm haven filled with comfy chairs and braided rugs. When Mole tells Babymole a bedtime story about dragons, Babymole asks, "Will a dragon come to get me, Daddy?" "No, Son." Mole says. "Dragons are far away from my little babymole." But the very next day, two terrifying dragons destroy the tallest molehills in the city. From a sheltered spot amidst the wreckage, Mole feels called to return and help others. Jonell plants a spiritual undercurrent with references to Mole's prayers to an Overmole. She draws a contrast between Mole (as an "ordinary mole") and the "Bigmoles" and "Smartmoles" that emphasizes the importance of everyday heroes, yet youngsters may not understand the social distinction or the idea of working-class firefighters, police officers and others rescuing elite stockbrokers. The stronger theme underscores the tenuous reassurance between father and son: upon Mole's return home that night, Babymole asks, "Will I get to go fight the dragons, Daddy?" "No," replies Mole. "We grown-ups will fight them for you." Images of the moles fleeing the fire and the dragons' attack may make this best suited for reading with an adult, as well as for children who already know about the events of that day. He was an ordinary mole-digging, tunneling, moving dirt-who loved his family, and was strong, brave, and steady. At times Mole was envious of the Smartmoles, Bigmoles, and Starmoles and he wished he weren't so ordinary. At bedtime when Babymole wants to have a dragon story read to him, he asks if dragons are real. Mole answers yes, his great-grandmoles had fought them. The next day, when dragons attack the Mountains where Mole works, all moles became Moles Afraid. As the Mountains crumble, Mole knows he has a job to do and he digs and digs, rescuing moles. The other moles dub him "Bravemole." Now they become Moles All Together, determined to fight dragons to protect all babymoles and to build a world without dragons. Water-soluble crayon illustrations suitably characterize Mole in a red vest and blue helmet with intense blue dominating background scenes. Extremely text-heavy, this will have to be read in a one-to-one sitting and adults should first read it for themselves. Back flap copy contains a message from the author explaining that she wrote the story for children affected by September 11 who need a story to feel safe. On the front flap: "A modern-day fable inspired by the tragedy that honors the extraordinary capacity of ordinary people to make a difference in the world." Purposeful and honorable. By Georgia Heard Created especially for New York City schoolchildren, This Place I Know: Poems of Comfort edited by Georgia Heard includes 18 works, beginning with Eloise Greenfield's "This Place," and including poems by Karla Kuskin, Langston Hughes, Walt Whitman and Heard herself. Each is paired with illustrations by artists such as Kevin Hawkes, Chris Raschka, Petra Mathers and William Steig. A portion of the profits from the sale of the book benefit Save the Children. To offer children consolation after the sorrow of September 11, Heard has collected 18 well-known poems that speak of grief and comfort, and each poem is opposite an original, full-page illustration by a picture-book artist. There's no bibliotherapy, but the images in both the words and the pictures are about fear, loss, and connection. Ann Turner's poem "The Beginning," which celebrates New York, appears opposite Chris Raschka's dynamic painting of the view from Manhattan Bridge. Wendell Berry's "Peace of Wild Things" is about the comfort of solitary places. Perhaps the most riveting double-page spread features Karla Kuskin's elemental poem of friendship ("I think I could do anything at all, / if you were there"), perfectly matched by William Steig's ink-and-crayon drawing of a boy and his dog. There are great poems by Langston Hughes, Lillian Morrison, Faiz Ahmed Faiz, Gwendolyn Brooks, and more. In most cases the art doesn't overwhelm the words and both will get children talking about the things to hold onto when times are hard. In memory of the September 11th tragedy, this book was compiled initially to offer hope and comfort to children who witnessed the event firsthand, but has far broader application, speaking to all people, young and old, who suffer trauma. Eighteen poems, by contemporary and 19th-century poets, deal with loss, fear, and grief, and touch on feelings deep within, reminding readers that goodness and love prevail, after all, and that there is enduring strength in the constancy of nature. Work by 18 well-known children's book illustrators such as William Steig, Petra Mathers, Chris Raschka, and Elisa Kleven reflects each artist's unique style and complement the poems. A multicultural dimension to the words and pictures gives this title universal application, as life throughout the world is celebrated. By Nancy Poffenberger This is a book written for children ages 6-12 about the events of Septembeer 11th. It is a l6 page book with illustrations done by 4th and 5th graders at The Lotspeich School in Cincinnati, Ohio. It is written to help young children better understand the events of September 11th. It has been very well received by school principals, psychologists, parents and grandparents. It is factual yet emphasizes the patriotism of our country rather than dwelling on the attack. Frankie Wonders ... What Happened Today? By Yvonne Conte This book is a look through a 4 year olds eyes at the horrific events of September 11th. Little Frankie knows something is wrong but he doesn't know what and he doesn't why his family is so sad. The story guides Frankie through feelings of anger, confusion and fear. It is a book not only for children but for adults as well. Everyone needs what Frankie needs. By Dr. Joan S. Dunphy In this comforting and imaginative new children�s book, Malachy Mouse and his family are newcomers to New York City, having moved into their basement cubby hole just days before September 11th. After the terrorist attack, they are evacuated from their home and decide to stay with Cousin Joel and his family. But their cousin works in one of the towers and he does not return home. With the children traumatized, the adults decide to show them all the ways others are working to protect them. They visit firefighters, police, rescue workers, rescue dogs, medical personnel, airport security and a military base. Then they discuss ways they can help, too. Compassionate and accessible, this book helps children open up about their fears and provides parents and all those who work with children a tool with which to calm youngsters� anxieties and lighten the burdens on small shoulders. By Andrea Patel This remarkable book already has touched thousands of lives with its inspirational message and stunning images. While 'on that day' originally was a response to the 9/11 tragedy, it offers a heart-warming reminder about how we can live our lives, and face up to tragedy and disaster, without losing hope, or faith in humankind. It takes only one look at the illustrations in "on that day" -- made out of brightly colored tissue paper -- to engage any reader. When these wonderful illustrations are matched with the simplistic words of a preschooler describing the horror and hope of the September 11th tragedy, something miraculous springs from the pages. Today, it is a daunting, yet necessary task to explain the World Trade Center attacks to young children. Now, there seems clearly a good and evil in our world that heretofore did not exist so vividly and nearby. Now, monsters and sinister characters inhabit places that were once reserved for things that lived under beds and in dark closets. What makes this book so special is not the honest and non-threatening descriptions of what happened, but also the delivery of the message that an attainable hero lives in all of us. Page after hopeful page shows us all that no matter how bad or evil the world seems at times, there is always room for each one of us to do and be good. It is an exploration of redemption. A primer on doing good for the simple joy of such; a testament to the simple truth that each good deeds sets in motion thousands of other small acts of goodness. Good does triumph over evil. How does one address the attacks of September 11, 2001, in a picture book for young children? Patel's efforts to make her own peace with the subject have resulted in a book that does so quite effectively. Her tissue-paper collages depict, at first, a world that is "very big, and really round, and pretty peaceful." The white expansive backgrounds allow viewers to focus completely on the images and message. The author goes on to explain that "sometimes bad things happen because people act in mean ways and hurt each other on purpose." (Even preschoolers know this to be true.) The accompanying scene is simply a collage outline of America. Patel then offers a variety of ways that children, or anyone, could help the world: sharing, playing and laughing, taking care of the Earth, and being kind. Concluding pages point to the strength of the goodness that exists; listeners are reminded that they are part of that. Short sentences build into longer, cumulative lines; this repetition plugs into a familiar, oral tradition, while providing reinforcement for the ideas. Both this textual pattern and the circular, connected lines of the art break at the delivery of the terrible news. They resume, subtly, in the denouement. This book will be welcomed by those who want to mark the anniversary of the tragedy with children; it is worth noting that it would also be useful to open a dialogue in the context of any violent act. And God Cried, Too: A Kid's Book of Healing and Hope by Rabbi Marc Gellman Little Angel Mike is an angel in training. He doesn't understand how God can let bad things happen in the world. Whether it's the tragic events of September 11, 2001, or the loss of a beloved pet, shouldn't God be able to stop the bad things? Big Angel Gabe is a wise old angel, and it's his job to help answer Little Angel Mike's tough questions and to guide him through the mystery of suffering and into a hopeful place. In a nonpreachy, accessible manner, the message of God's great compassion and our ability to bear even the greatest burdens is offered here with a gentle wisdom. By Rosina G. Schnurr Terrorism: The Only Way Is Through tells the story of eight-year old Mark and his four-year old brother, Jamie, who suffer the loss of their mother as a result of the terrorist attacks of September 11th, 2001, in New York City. This book helps children to understand their thoughts and feelings with respect to terrorism. It shows families, professionals, and others how to help children to cope with post-traumatic stress, identify warning signs, and the issues to be addressed. The book will be particularly helpful for children ages six to twelve. These children will readily identify with the thoughts and feelings of the main character. Older children will benefit from reading the book by themselves, especially if they are not yet ready or willing to talk about their thoughts and feelings. Younger children will benefit from having the book read and explained to them. By LaTania Love Wright This is a book intended for every child between the ages of 4 to 10 years old who watched the worst attack on America in the history of time from their television set. This book is a keepsake in which the child's name, date given, and who the book was given by can be recorded. The fact that it is a coloring book involves the child in the reading and is a very educational resource that can be used in a classroom or family setting. It is a resource that allows children to express their own indivdual feelings about that horrible day. Children of all races and ages are captivated by this book. Even children who normally do not like to read will pick this book up and immediately become involved. The address to to The White House encouraging parents and teachers to send in letters and drawings expressing themselves in a positive way. Dedicated to everyone affected by September 11th, 2001. I wrote this book because my 12 year old daughter saw a telecast of The World Trade Center attack in which she could see people jumping to their death. This took its toll on me as a mother for all of my children. My 8 year old daughter and 6 year old son could see the terror, fear, and lack of explaination that I had for the first time in their lives. I am usually witty and come up with creative explainations for the many curious questions they throw at me, but not that day. As a writer, I had to get my thoughts down on paper and somehow help myself and my babies come to some sort of understanding or just communications about what was going on. I remember simply saying what I read on the television screen: "America is under attack." Of course "What does that mean?" quickly followed so I let them watch for themselves. A Day I'll Never Forget was the therapy I created for my children and hope that it will help you and yours. September 12th: We Knew Everything Would Be All Right by First Grade Students of H. Byron Masterson Elementary in Kennett Missouri On September 11th horrific events occurred, yet through the simple text and vibrant art of first graders, we are reminded that the world continued the next day. On each page, children experience the comforts of ordinary routines, such as their teacher reading books to them, having homework and recess, and knowing that 2 + 2 still equals 4. This is a poignant message of hope that reassures us all that even after bad things happen, tomorrow always brings a new day. By Timothy D. Bellavia and Randi Cannata's 4th Grade T.A.G. @ P.S. 175 Q. District 28 N.Y.C. Come And Abide, which came about as a result of Timothy D. Bellavia's collaborative efforts with twenty-six 4th grade children, is part of the highly acclaimed series We Are All The Same Inside. The author's primary purpose is to help young learners understand tolerance while exploring the various aspects of diversity. The book is unique in that it is a collaboration with Randi Cannata, a T.A.G. teacher at P.S. 175 Q. in New York City and her 4th grade students. The T.A.G. 4th graders along with Mr. Bellavia illustrated and chronicled the recent events of 9/11 through the eyes of the book's series charcter, "Sage" We first meet Sage, an alien without skin, in Mr. Bellavia's first picture book. In Come and Abide, Sage is writing to his sisters Maestra and Hip- hop to come to earth and help earthling's realize that regardless of their external differences they are all the same inside. All profits of this book will go to the NY Firefighter's Fund. By Kathy Rozek Rudy was a young boy who lived in a big city and had many friends. Some time ago, he had been asked to watch over 2 huge, bright beautiful balloons. The "Twin Balloons". Rudy didn't know it, but these Twin Balloons had very special magical powers.. This book is dedicated to children of all ages who have been affected by the tragic events of September 11, 2002. And, to honor the thousands of heroes born on that mournful day in New York City, Washington, D.C. and Pennsylvania. That we may find comfort in the legacies they leave behind. They will be in our hearts forever. For all the days that we had with them and for all the lives they touched, this book serves as a loving reminder of the peaceful place they now call home. And, to the man whose courage and compassion inspired a nation to stand strong, Rudy Guliani, esteemed citizen of New York, legendary Mayor of America. By Dr. Teri J. Schwartz This children's book describes the events of 9/11/01 and in the weeks that follow. It tells a story different from what is likely to be told in history books. It captures the moments as they were lived without generating fear and provides a message of hope and courage. The book focuses not only on the events themselves but our reactions to the events such as emotions, acts of kindness and our need to continue onward in spite of fear and uncertainty. It attempts to explain why 9/11 occurred without prejudice. The story is accompanied by graphics (black and white) that are meant to keep the children's interest. The events appear to be told by a cheerful cat who finds his way onto each page of the text as well as onto the full page illustrations. Children between ages 7 and 9 years old will likely be able to read this book alone. However, the material in the book can be utilized into classroom lessons on 9/11, as well as those on citizenship, for older and younger school-aged children as well. , Young Reader's Edition As September approaches, a crop of titles reaches out to young readers. A Nation Challenged: A Visual History of 9/11 and Its Aftermath, Young Readers Edition, edited by Mitchel Levitas, photos edited by Nancy Lee and Lonnie Schlein, with an introduction by New York Times executive editor Howell Raines, presents an intimate account of one of America's darkest days, adapted from the stories that ran in the Times. Text pulled directly from the paper's pages plus Pulitzer Prize-winning photos create a sense of immediacy while helping readers make sense of the war in Afghanistan, the tragedy's impact on the global community and new security measures at home and abroad. A "How to Help" section and comprehensive resource listings put the focus on the future. Howell Raines, Executive Editor of the New York Times, introduces this book whose contents were culled from the Pulitzer prize-winning section of the paper, A Nation Challenged. The challenge, of course, was how to share a record of terrifying events and images in a responsible, age-appropriate manner. The editors have succeeded admirably. Through the generous use of white space; the carefully selected, climactic spreads contrasting with smaller, more personal scenes; and a clean design, including boxed tidbits of information, they give viewers a chance to breathe. Coverage of the three crash sites and the ensuing war is interspersed with snapshots of strong leaders, caring citizens, a global community united in grief, letters and art from peers, and scenes of Afghan children. Sometimes there is just one sentence per page, but the well-chosen words are packed with meaning and substance. The organization and content anticipate children's questions, e.g., detailed diagrams explain the physics of the towers' collapse or depict the interior of an Al Qaeda mountain bunker. The presentation, pacing, and progression are all orchestrated to make this resource informative and palatable for youngsters, without diminishing the overall impact. In moving from the May 30th photo of the ceremony accompanying the removal of the World Trade Center's last steel girder to the section on how children can help and the list of Web sites, this title signals a type of closure and a call to continue to think and to act. Taken from its own coverage of the events of September 11th and their aftermath, New York Times editors have adapted a Young Reader�s Edition from their adult title of the same name. The text bites are short, but vivid, and each is credited with the reporter and date of its appearance in the newspaper. Photographs of the burning and collapse are balanced by a diagram showing how the North Tower fell; images of candlelit vigils are powerful, but even more so is that of a 12-year-old refugee girl from Afghanistan, in school in Pakistan for the first time. The attack on the Pentagon in Washington, D.C., the crash of the hijacked plane in Pennsylvania, the anthrax scare, and the war in Afghanistan are covered in broad clear strokes: just enough to get the mind around. Letters from children and prayers from adults around the world are illustrated in the clean, clear layout of the design; readers might find comfort in a package that pulls everything together in a manageable format. The World Trade Center site cleanup�and its completion in May of this year�acts as a muted drumbeat through the progression of the pictures. Web sites with resources are listed at the end, but best of all is a series of simple recommendations about what young people might do: "Make friends with someone who looks different from you." "Go to the library and take out a book to help you understand the different nationalities and religions of your peers." A first choice for those who want an illustrated overview. By Victoria London Meet Lucy Lee, a 21st century modern-day and somewhat ordinary New Yorker/now California girl, who wants to fit in. She's just turned 12 years old, has moved thousands of miles away from her best friends in New York to California, and is going through some awkward changes. Most awkward of all, though, is her sudden discovery that she is a Gifted Girl. When Lucy puts on her gift necklace and starts sewing, magical things happen, even though she has never touched a needle in her life! Confused? So is Lucy, who just wants to be an ordinary girl. Then when New York's World Trade Center is bombed on September 11, 2001, in one of the United States' most horrifying attacks, Lucy is stunned at first, and then jolted into action. As an ordinary girl, who happens to be extremely gifted, she was going to use her gift to help! Gifted Girls is a series about a group of girls around the world from different places and times who have extraordinary magical gifts to be used to better the world. Join the Gifted Girls - Lucy (the Sewing Sensation), Emily (the Artist), Jackie (the Nature Girl and Scientist), Daniella (the Chef and Candy-Creator), and Rose (the Performer) in their many magical adventures, battles, and victories. By Jill C. Wheeler This 12-book series covers the full range of topics and issues needed for meaningful discussion, clear understanding, and hope for the future. It provides accurate, age-appropriate information, puts events in proper perspective, and offers reassurance that democracies are doing what is necessary to make the world safe. The War on Terrorism series presents topics related to the terrorist attacks and weaponry. In Weapons of War (not to be confused with Hamilton's earlier book for ABDO with the same title, published in 2000), Hamilton introduces the fighter planes, bombers, helicopters, support aircraft, bombs, missiles, ships, and ground vehicles available to the U.S. military in Afghanistan. Clear and well focused, this highly accessible text delivers the basic facts and the advantages of various craft. Excellent color photos show more than a dozen different planes, as well as five helicopters and other major weapons in use. The book closes with a glossary and a list of Web sites related to the armed forces. September 11, 2001 offers an overview of the terrorist attacks that occurred on that day. The tone of the writing is matter-of-fact, and the color photos illustrate the text effectively. The final spread, "You Can Make a Difference," briefly introduces organizations accepting donations for victims and their families and suggests a Web site promoting tolerance. A glossary and a "Timeline of Terror, 9-11-01" are appended. Sturdily bound in red, white, and blue, these titles open a 12-volume series with quick scans of the events of 9 11 and their immediate aftermath, along with inspiring anecdotes from survivors, and tributes to rescue workers. Wheeler's introductory account takes the broadest view, beginning with a riveting sequence of full-page photos depicting the World Trade Center burning and in ruins, fleeing pedestrians, and a wall of "missing person" notices, then going on to describe the fate of all four hijacked flights, rescue clean-up operations, and the genesis of Operation Enduring Freedom. Ground Zero pauses for a slightly closer look at the WTC's destruction, and Heroes of the Day focuses on people, from passengers aboard the flights to uniformed rescue workers, as well as the trained dogs that are working with the latter. The level of detail is not deep, but the authors usually distinguish between facts and speculation, and their narratives are enhanced by plenty of big, clear, color photos. By Mitch Frank On September 11th, America was attacked. But while we know what happened on that tragic day, many of us don't understand why it happened. In this important book, Time magazine reporter Mitch Frank clearly and concisely explains why and answers the following essential questions. What happened on September 11th? * Who were the hijackers? * What is terrorism? * What is Islam? * Why does the Middle East matter? * Why did the terrorists target the United States? * Why did we go after Afghanistan? * Who are the Taliban? * What are the differences between Islamism, Islamic fundamentalism, and Islam? * Who is Osama bin Laden? * How has America changed since September 11th? Written and designed on a level that sixth graders and up can easily comprehend, and filled with pictures, maps, and straightforward explanations, this is the book that will enable young people to understand both the events of 9/11 and the history leading up to it. September 11th is a part of history that Americans should both know and never forget. 9.11.01: Terrorists Attack the U.S.
By Pat Lalley This compact book does an excellent job of explaining the terrorist attacks on September 11, but equally important is its presentation of the background that led to the events. Lalley begins as planes fly into the Twin Towers and the Pentagon, and crash into a field in Pennsylvania. With alacrity, he goes on to explore previous terrorist attacks against the U.S and the reasons behind them, the war in Afghanistan, and the history of the World Trade Center. He also looks ahead at the impact of terrorism in the U.S., and relates two personal stories from Ground Zero. The most interesting, and potentially controversial, part is the chapter about Islam; careful and politically correct, Lalley pulls no punches about the Islamic radicals involved. In addition, he presents good information about problems in the Middle East, though a mention of the Holocaust as a reason for the establishment of a Jewish state might have been helpful. Because this focuses largely on events within a specific time frame, it won't date too quickly. The color photos are crisp though sometimes small. A list of Web sites and a very brief bibliography round out the text. As the presses begin to roll out the books detailing the events of September 11, 2001, librarians need to steel themselves against the onslaught. Lalley's version will give basic readers the facts of the day and its aftermath in simple, easy-to-understand terms. In the back of the book, a telling map highlights every country that lost a life in the terrorist attacks, clearly showing that the attack was indeed a worldwide tragedy. Information covered is fairly standard, ranging from the history of the towers to a simplified explanation of jihad and the motivations of al Qaeda. The photographs are also standard-issue wreckage and flag-flying patriotism shots, but they go along nicely with the text. This book would be a good purchase for elementary or middle-level libraries for report writing and general interest in the subject. By Gail Stewart The attacks that horrified the United States prompted a variety of responses -- from heroic rescues from the World Trade towers and the Pentagon to a courageous attempt by passengers to fight back against their hijackers. This book details the shortcomings of U.S. intelligence and security, the ways such weaknesses are being strengthened, and the varied effects among Americans since September 11th. By Donna Koren Wells, M.Ed and Bruce C. Morris, JD The world changed on September 11, 2001 and as frightening as it may be for adults, for teens feelings of fear and hopelessness can be overwhelming. This timely new book offers a positive approach to navigating uncharted waters -- first the myths...then the facts! It's an engaging guide filled with question-and-answer sections, space to journal their feelings and reactions, and suggestions on how today's teens can help themselves, their families and their communities. From "The Home of the Brave" -- what terrorists target and why -- to "The Land of the Free" -- school and community -- ...from "Worried Sick" -- the truth about bioterrorism -- to "Dollars and Sense" -- potential family economic impacts -- to "Instant Mess[age]" -- communications, entertainment, media in our new age -- this book's chapters provide a handbook that teens will want to keep with them at all times. Teens are understandably frightened by the events of September 11. They are confused about what the attacks mean to public security and about how to protect themselves. In plain language, the authors allay fears and empower readers with information that explains how the world has changed, and what specific actions can be taken to safeguard themselves, their families, and their communities. Information about the social, financial, and political repercussions of the attacks is reassuring. Suggestions about devising escape routes, packing survival kits, and more are well intended, though occasionally histrionic. In general, however, this book, which is divided into informative text and well-selected question and answers (there are also several fill-in-the-blank questionnaires), fulfills its purpose: it lets teens know that adults are aware of their fears and eager to help them return to a more balanced view of our altered world. For middle-grade readers, see Gellman and Hartman's Bad Stuff in the News. How can we cope in a world filled with pollution, poverty, and violence? In our media-centric society, this is a question that kids come face-to-face with at increasingly young ages. And ever since the September 11, 2001 terrorist attacks on America, our personal safety has never felt more in danger. With their unique combination of sensitivity, insight, and humor drawn from their years of counseling experience as clerics, nationally known commentators Rabbi Marc Gellman and Monsignor Thomas Hartman address such front-page tragedies as hate crimes, terrorism, school and sports violence, and substance abuse. After exploring some of the complex factors that lead such tragedies to happen, each chapter addresses what small but important steps might be taken in order to prevent them from happening again. And although some "bad stuff" is unavoidable, they invite readers to discover how simple acts of comfort can make a big difference. This essential handbook for today's modern youth will help kids and parents deal with confusing, troubling, or scary events, while showing them how to take part in repairing the broken world around them. The greatest writers and artists in comics join with an unprecedented coalition of publishers to create two volumes reflecting on a tragedy that changed the world. Offered separately, but released, marketed and publicized together, each volume consists of dozens of profoundly moving, contemplative stories about the events of September 11 and their aftermath: Volume 1 from Chaos! Comics, Dark Horse Comics, and Image Comics - with assistance from Oni Press, Top Shelf Productions, and others; Volume 2 from DC Comics, including WildStorm Productions, Vertigo, Homage Comics, Cliffhanger, and Milestone Media. Volume 1 from Chaos! Comics/Dark Horse Comics/Image Comics, with assistance from Oni Press, Top Shelf, and others. A cover by The New Yorker's Eric Drooker tops a collection of personal and profoundly moving stories from some of the greatest writers and artists in comics, including Frank Miller�s reflections on the power of faith; Jim Mahfood�s personal view of the Arab-American experience before and after September 11; a story by Alan Moore and Melinda Gebbie; and Bryan Talbot's reflection on the meaning of entertainment in the days after the attacks. It's hard to find a good comic anthology these days, let alone one which strays far from science fiction and fantasy and instead focuses on the mundane, the people, the common person's reaction to tragedy. Every kind of person was affected by September 11, and this book encompasses them all -- the law-abiding Arab citizen, the American travelling abroad, the desensitized, the firemen, those on the planes and those lucky enough to be plucked from the Trade Center rubble. The stories are varied, the images in colour, black and white and grayscale, and each artist's style is distinct. You'll find cartoons, realistic drawings, and some in between, all of which do more to reflect the true feeling of American, if not world unity, and September 11 better than any Dateline special could. I, for one, can't wait to read Volume Two. DC Comics/WildStorm Productions/MAD Magazine. A painted cover by Alex Ross tops a collection of personal and profoundly moving stories from some of the greatest writers and artists in comics. Featuring the first story added to the Sandman opus in two years with a Death and Destruction story by Neil Gaiman and Chris Bachalo; a new Krypto story by Jeph Loeb, Carlos Pacheco and Jes�s Mari�o; a story of London during the Blitz by noted science-fiction/fantasy author Michael Moorcock and artists Walter Simonson and Bob Wiacek; plus the reunion of Stan Lee and Marie Severin. (Alternative Comics) The terrorist attacks in New York, Washington DC, and Pennsylvania on September 11, 2001 touched people worldwide, and cartoonists have turned to art to express their grief and support. 9-11: Emergency Relief is a comic book project to benefit the American Red Cross featuring some of the comic world's leading talents. From legendary creators such as Will Eisner and Harvey Pekar to new talents on the cutting edge of the comics medium such as James Kochalka and cover artist Frank Cho, over 80 cartoonists from all areas of the cartooning world have joined together in this community effort. Released January 2002 from Alternative Comics, 9-11: Emergency Relief is a collection of these cartoonists' personal non-fiction accounts of their experiences related to the tragedy. Edited by Michael Cart, Marianne Carus, and Marc Aronson An impressive cast of more than 20 children's book authors donated work to this highly personal, often affecting roundup of essays, short stories and poems inspired by the events of September 11th. Organized into four sections from "Healing" to "Reacting and Recovering," the pieces range from related events triggered by the New York tragedy to writers' evocations of the horrific images they viewed that morning. Arnold Adoff draws a correlation to King's assassination in Memphis ("Souls rise/ without reason long before their reasonable times"); David Paterson (son of fellow contributor Katherine Paterson) recounts perhaps the most immediate connection to the terrorist attacks as he relates his experience at Ground Zero on September 13 with shovel in hand to help clear the rubble. In a candid entry, Walter Dean Myers recalls watching a Middle Eastern man in London cheering the loss of American lives: "He is my enemy because those who think like he does have brought violence and hatred to my door, and to the doors of those I love." Perhaps Susan Cooper (who heard the roar of a fighter plane in New York City on 9/11 and recalled the bombs that fell on her London neighborhood during WWII) best sums up the collection's underlying message: "But the opposite of terror is hope, and... hope can drive out fear." Other contributors to this strong collection include Avi, Sharon Creech, Nikki Giovanni, Margaret Mahy and Naomi Shihab Nye; Chris Raschka provides an evocative cover and interior pen-and-inks for each section opener. A global viewpoint on the September 11 attacks is presented through 25 essays, short stories, and poems divided into four sections: "Healing," "Searching for History," "Asking Why? Why? Why?" and "Reacting and Recovering." Although every entry does not deal with the theme of rebuilding, Katherine Paterson's introductory essay sets a tone of hope. Paterson's son David gives a vivid, textured picture of what it was like to work at Ground Zero less than 48 hours after the attack. Russell Freedman pays tribute to New Yorkers' sense of community and appreciation for the rescue workers who gave their lives. While many of the short pieces offer a sense of hope, much of the poetry will make readers cry. The horror, anger, and pain are given voice, too. Walter Dean Myers's essay is about just that-the anger and frustration engendered by our vulnerability and inability to elicit sympathy from cultures that harbor enmity for America. A call for understanding is evidenced in several pieces. Marion Dane Bauer reminds readers to beware of fear and know that we can change the world one kindness at a time. James Cross Giblin uses Pearl Harbor and the Cuban Missile Crisis to assure readers that, as a nation, we will survive. Naomi Shihab Nye, an Arab-American, says we make sense out of life through words. This volume is a worthy attempt to do so. By Oliver Chin In this graphic novel that helps teens make sense of world events, nine fictional high school students reflect the variety of feelings about the events of September 11. Set during the confusion following the terrorist attacks, the story begins when a history teacher assigns his students to write a report on the incident based on an interview with someone who has a different viewpoint from their own. As they fan out into the community and encounter people of diverse backgrounds, opinions, and prejudices, the teens quickly realize that the story cannot be reduced to simple themes like good versus evil or us versus them. The west side of Earthucia). They'll arrive at Point "C". For their country to last. Could Merucia simply be a thinly-disguised AMERICA? By Shelley Harwayne (Compiler) and The New York City Board of Education This is a collection of letters, poetry, and art by children in response to September 11th. All were sent to other children reflecting innocent support, outreach, and caring. This book is an archive of what children were thinking and feeling through their honest and heartful messages. By Jennifer Peltak The speed and skill of New York City emergency technicians (EMTs) and paramedics saved countless lives after the terrorist attacks on the United States on September 11, 2001. Unfortunately, 11 medical professionals lost their lives in the line of duty that day. EMTs and paramedics face many challenges in the field, yet have continued to answer the call at national emergencies such as the 9/11 attacks, Columbine High School, and the Oklahoma City bombing. By Marylou Morano Kjelle September 11, 2001, saw more American lives lost than any other single day in U.S. history, including D-day and the attack on Pearl Harbor. Instead of crippling the nation, the attacks proved the spirit of American�s to be stronger than ever. People from all across America came together in support of the victims, their families, and the nation as a whole. Read about how agencies, organizations, and individuals came together in this time of tragedy. By Angela Valdez The U.S. government�s response to the terrorist attacks of September 11, 2001, began taking shape almost immediately after the tragic events took place. Facing the greatest challenge of his presidency, George W. Bush sought to comfort a grieving nation, confront the perpetrators, and garner international support for a war on terror. Learn more about how the government responds to threats to national security, and the role played by the Federal Bureau of Investigation (FBI), Central Intelligence Agency (CIA), Federal Emergency Management Administration (FEMA), and the Centers for Disease Control (CDC). By Richard Mintzer The U.S. military sprang into action after the attacks of September 11, 2001, with the goal of dismantling al-Qaeda and ultimately capturing Osama bin Laden, the leader of the terrorist organization. Though the Taliban government of Afghanistan, which supported terrorists, has been removed and al-Qaeda�s infrastructure severely damaged, the war on terrorism continues. Learn more about the U.S. military�s response to terrorism. Ground Zero discusses search, recovery, and clean-up. This volume in the War on Terrorism series focuses primarily on what happened at "Ground Zero" after the World Trade Center towers collapsed on September 11, 2001. Nancy Louis explains that "ground zero" is "often defined as the center of a rapid, intense, or violent activity or change," although I am sure most of us think of it in terms of the point at which an atomic bomb detonates and sends out waves of destruction. Certainly both definitions apply. This is one of the more informative books in this series, mainly because reporters and television cameras were kept out of the area. Consequently, in the week after the attack we had much more information about the victims in the towers, from interviews with friends and families desperately waiting for word, than we did about what the rescue workers were doing at Ground Zero. Louis covers the attack and the collapse of the towers, as well as what happened afterwards in terms of search & recovery efforts and removing the rubble, as well as the visits by President Bush and other leaders who came to visit the site. "Ground Zero" includes as much new information as it did details with which I was already familiar. The back of this book includes a page of facts about the World Trade Center. "Ground Zero" is illustrated with mostly full-page color photographs. While a couple show the World Trade Center buildings being hit or collapsing, most of these are photographs of rescue efforts amidst the massive amount of rubble. There is also a map of the area that indicates the status of dozens of buildings in and around Ground Zero. Other books in the War on Terrorism series includes "September 11th: The Day That Changed America," "Heroes of the Day," among others. Finally, I must note that all of the books in this series use the same font style, where the upper-case letters are only slightly larger than the upper-case, that I found a bit bothersome after a while. United We Stand describes many of the things corporations and individuals did to help, both in the United States and in other countries, after the terrorist attacks of September 11, such as donating money, blood, food, and supplies, creating memorials, and volunteering in various capacities. By Jill C. Wheeler The tragedy on September 11, 2001, has become a difficult but necessary topic of discussion in schools all across North America. The attack on America is among the most memorable and tragic in modern history. America's Leaders discusses President Bush, Powell, Ashcroft, Giuliani, and others. By Mary Gow September 11, 2001, was a day that changed the lives of all Americans. This title recounts the terrorist attacks that took place at the World Trade Center in New York City, at the Pentagon near Washington, D.C., and in rural western Pennsylvania that day. Please note that author royalties from the sales of this book will be donated to Mayor Rudolph Giuliani�s Twin Towers Fund. By Tricia Andryszewski An account of the September 11 attacks in the United States, with a discussion of the war on terrorism, anthrax attacks, and new security measures put into place since that day. This title in the Headliners series opens with a very brief prologue about the attacks on September 11, but then widens to an overview of terrorism in and against America. Sections about terrorism in the past refer to domestic groups--among them, the KKK, the Black Panthers, and the Weather Underground--and attacks on foreign soil against Americans, such as the Iran hostage crisis in 1979. The 1993 World Trade Center bombing gets its own small chapter, followed by a look at recent attacks on Americans overseas. Unfortunately, the coverage is too brief and sometimes misleadingly simplistic. Also, the large, slim, photo-filled format seems targeted to a much younger age than the text; advanced terminology (market-driven and rogue state, for example) isn't defined or explained. But with its broad focus, the book may be useful as a catalyst for research and discussion, helping to put September 11 into context. The final chapter raises provocative questions about fighting terrorism while maintaining civil rights in an open society. A chronology and a listing of further readings are appended. By Peg O'Connor Burt So, you want to teach your child about the September 11th attacks and the War On Terrorism, in a factual and straight-forward, yet comforting and reassuring age-appropriate manner, but you�re having trouble finding the words. What in the World is Going On? Am I Safe? (A Letter to American Kids) is the very book you�ve been waiting for. Written as a letter to �The Kids of America,� it addresses two key points: Just what happened September 11th, and the issue of feeling safe. Read through it once for yourself, then share it with your child. It may make you cry, but it will also make you smile. Insightfully and patriotically illustrated by children, this book is loaded with factual and straightforward yet compassionate and reassuring information on our nation's tragedy. Written in the form of a letter addressed to the Kids of America, it comes complete with a note to parents and teachers on why it was written and should be used as a learning tool. Graced with a wonderful foreword by Lorraine D'Aniello, long-time kindergarten teacher. By Ron Fridell Terrorism has always been a problem in the world, but it really hit home in the United States on February 26, 1993, with the attack on the World Trade Center in New York City, and again on April 19, 1995, with the bombing of the Alfred P. Murrah Federal Building in Oklahoma City. In Terrorism: Political Violence at Home and Abroad, author Ron Fridell explains what terrorism is, what motivates terrorists, and how their actions affect politics worldwide. He discusses the history and possible future of terrorism in the United States and throughout the world. In the wake of the attacks on September 11, 2001, it has become an obvious truth that terrorism is now a terrible fact of life. The bombings of the World Trade Center and the Pentagon and the abortive airliner crash in Pennsylvania are but the most recent in a long chain of terrorist assaults launched against innocent people across the globe. In this insightful book, readers will be confronted with the reality of global terrorism. The author traces the political, religious and psychological roots of terrorism. While most people look upon the actions of terrorists in horror, these appear reasonable to the fanatical participants in various extremist cells. Events such as the sarin nerve gas attack in Tokyo, the Oklahoma City bombing, and the 1993 unsuccessful attempt to topple the World Trade Center with a massive car bomb are discussed, along with other chilling incidents. Efforts on the part of various law enforcement agencies to prevent further assaults and apprehend actual and potential perpetrators are presented in one of the more intriguing portions of this well researched text. Terrorism, unfortunately, is a part of our lives. In order to cope with this harsh reality it is best to attempt to understand the motivations, actions and thoughts of terrorists. This book is a fine source for such information and will be a beneficial addition to a personal or public library. Part of the "Issues in Focus" series. By Andrew Santella Remember the day that changed our world forever with this book full of facts and pictures. The Government in Charge: What Happens When America Suffers an Attack? Is this the "First War" of the 21st Century? What Will America Do Next? What is War? Why Do We Fight Them? Afghans, Turbans, and Beards: Who is Who and How Do We Tell Them Apart? Who is Isama Bin Laden? What's All This Talk About chemical and Germ Warfare? What Should I Really Be Afraid Of? Normalsville: When Will the End Be in Sight? By Annie Thoms Tuesday, September 11, seemed like any other day at Stuyvesant High School, only a few blocks away from the World Trade Center. The semester was just beginning, and the students, faculty, and staff were ready to start a new year. Within a few hours that Tuesday morning, they would experience an event that transformed all their lives completely. Here, in their own words, are the firsthand stories of a day none of us will ever forget. By Charles J. Shields New entry in the Great Disasters series ... The terrorist attacks of September 11, 2001, will surely generate interest in Shields' book, which gives a full accounting of the tangled web of events surrounding the 1993 Twin Towers bombing--from the planning and execution to the investigation, arrests, and trials that followed. It, too, is illustrated with black-and-white photos, occasionally of poor quality. A three-page epilogue describing the events of September 11 adds to the book's value. Both series entries include a chronology and a bibliography. Muslim extremists bombed the World Trade Center in 1993, killing 6 people and injuring over 1,000 others. Examine these events in a new light in respect to the terrorist attacks of September 11, 2001. 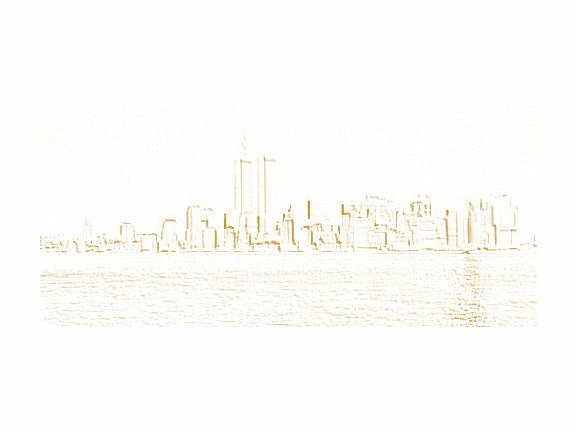 Included in this text is an epilogue recounting the events of September 11. By Victoria Sherrow Details the events surrounding the 1993 bombing of the World Trade Center as well as the investigation and trial of those responsible for the terrorist attack. Victoria Sherrow recounts the real life stories of those who experienced the 1993 bombing of a historic New York landmark. Action-oriented accounts of survivors put the reader in the center of this disaster. By Keith Elliot Greenberg Meet Roko Camaj at the top of New York's tallest buildings, the World Trade Center. He'll take you into his special steel mesh basket more than 110 stories in the air. He'll give you a ride down the outside of one of the towers and will explain exactly how he does his job. You'll get to watch him work as you take in the incredible view from more than 1,400 feet above the city! Many people in our world face the unique demands of special careers. Some work at jobs that protect us and our families from danger. Others have learned skills needed to provide a special service or perform in a special way. The Risky Business series gives you an up-close-and-personal profile of people who do things most of us would never dream of doing. As you read about them, you'll find out what worries them and what excites them about their jobs. You'll also learn how each person trained to become an expert in his or her field.